Keeping your head protected should be your first priority. Even if you’re not a fan of hats you should consider wearing one in order not to get sick after a run on a windy day. Apart from that we think everyone looks good in a hat - you just need to pick the right one! The Oshima hat is from our collection of the same name, inspired by ethnic tattoos popular in Oshima. 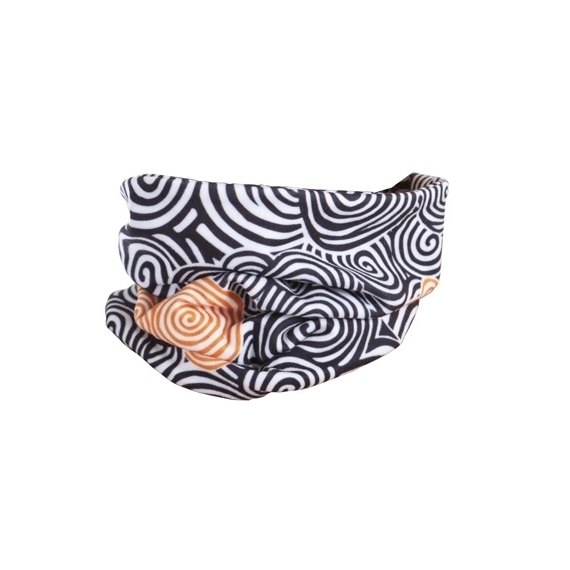 You’ll find the same pattern - black and orange hoops - on our tights, skirts and scarves. The hat is made of warm, elastic fabric that protects you from wind and weather. The fitted cut makes the hat stay in place and airtight, not to mention it keeps your earbuds in place, too.